Technological advances are transforming the way we connect, disrupting the status quo and creating huge turbulence. Industries are converging, and new opportunities and threats are emerging, as never before. So how are CIOs managing their way through the mayhem? 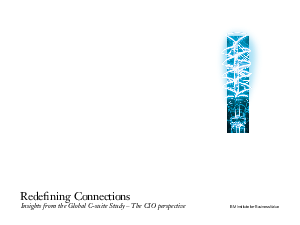 In the first installment of our latest C-suite Study, we interviewed 5,247 top executives to find out what they think the future holds and how they’re positioning their organizations to prosper in the “age of disruption.” This report delves more deeply into the views of the 1,805 CIOs who contributed to our research – and what the IT gurus of the most successful enterprises do differently.